Turn on your flashing blue siren and race a tricked out police cruiser through the urban landscape in this hell-fire racing game. Free full version game! No banners, no ads, no in-app purchases! 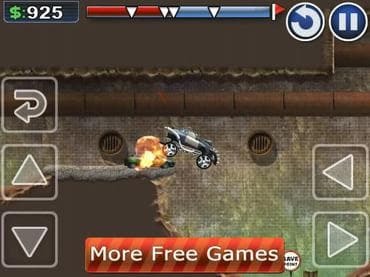 Turn on your flashing blue siren and race a tricked out police cruiser through the urban landscape in this hell-fire racing game. See what happens when a good cop goes bad, and doughnuts are more important than upholding law and order. Destroy everything in your path as you guide your renegade cop on a madcap mission to the doughnut shop. In Hell Cops, the law is made to be broken. Run over pedestrians and drive over parked cars. Let nothing stand in your way as you floor the gas in pursuit of a chocolate doughnut. Beautifully rendered graphics and a heart-pounding techno soundtrack create a fast-paced and exciting game. If you have questions about Hell Cops game, please contact us using this form.